Our Deanery Mission Community Shaping Group (which includes members from our ecumenical partners) has now explored ‘the local implications of the Strategy, including the shape of possible Mission Communities’, and this leaflet is part of our dialogue with the parishes in the light of that exercise. The feedback we receive from this dialogue will inform our report to the Archdeaconry and Diocesan Mission and Pastoral Committees, which must be submitted by 18th September. The background to his exercise is that numbers of available Clergy will drop by 25% over 10 years (from 2013). The concept of mission communities is an attempt by the Diocese to manage that decline in clergy numbers whilst maintaining, or perhaps even enhancing, our capacity for mission. The basic idea is that the church becomes less clergy-dependent by engaging in fully developed every-member ministry, which will include a greater emphasis on lay ministry and self-supporting ordained ministry (“SSM”). It will also involve greater investment in ‘pioneer’ ministry – ministry specifically focussed on outreach to those parts of the community we don’t reach through our current ministry structures and patterns. We decided to begin by identifying the shape of possible Mission Communities by facing the reality of what stipendiary ministry we can afford and then assessing the local implications of the strategy on the basis of that likely reality. At current figures, our existing parish offers would give us a ministry budget of £301,711, whereas our current ministry costs (if all our vacancies were re-filled) amount to £442,000, based on Diocesan figures. Clearly, living within our means together with the likely reduction in available clergy is going to demand a significant change for Appleby Deanery, regardless of what strategy we adopt for the future. Our analysis began with a series of presentations to parishes in Jan/Feb 2014, as part of which we collected information from the parishes which allowed us to identify such matters as lines of allegiance between parishes (e.g. shopping, doctors, work, etc), existing church relationships and fractures and future grouping preferences. We also conducted very wide-ranging research into the health, ministry capacity and outreach potential of our congregations. This included analysis of regular church attenders (by age category), ministry resources available (lay and ordained),occasional offices (e.g. weddings and funerals), current worship patterns, outreach initiatives (parish MAPs), small groups (e.g. prayer, bible study/discussion, choirs etc. ), schools, denominational links, state of buildings and Parish Offers. We also conducted wider research into our context, including parish populations, local geography, secular statistical information on our economic profile and secular allegiances within the Deanery. ‘Ministry’ is the work of all the baptised (baptism, rather than ordination being the primary authority for Christian ministry). Any strategy must help the whole church to re-discover its vocation. We must provide opportunities for each Christian to grow in faith and use their gifts in Christian service. We must have open (non-exclusive) boundaries. We must work together as the Body of Christ for the Kingdom of God. Clergy should not work alone. The better resourced should support the less well resourced. living church in every community. a good number of strong local churches and a small number in need of support. The model envisages that each Mission Community will have at least one ‘hub’ and a sustainable distribution of other local congregations. Because the different denominations are starting from different points and proceeding at different rates, we have agreed to develop so as to meet Anglican needs in the here and now, but allowing for ecumenical going together on an organic basis over time when relations develop and the legalities and practicalities allow. What follows therefore will apply only to Anglican congregations in the short to medium term. 30% of available resources – including time and energy – to be deployed in pioneering ministry (including the Network Youth Church minister). The northern part of the Deanery would be served from Appleby, with added energy from Morland. It would include the current Heart of Eden, Leith-Lyvennet, and Askham with Lowther & Clifton with Brougham groupings, plus Warcop and Musgrave. The southern part of the Deanery would be served from Kirkby Stephen with added energy from Shap and Orton. It would include the current Kirkby Stephen and High Westmorland groupings, plus Brough. Local churches overseen by growing lay ministry teams (some teams including SSM clergy). It builds on the past – existing patterns of allegiance (including current benefices/sections) remain intact (except in the case of Brough, Musgrave & Warcop where local requests have been taken into account). The short answer is ‘when it can‘! Full implementation of the Ministry Strategy, with all its legal provisions is likely to take around 10 years, but the problems the proposal addresses affect us right now. Accordingly, we expect local implementation to begin informally wherever and whenever it can, recognising that it will proceed faster in some places than others and that full legal implementation will take approx. 10 years. 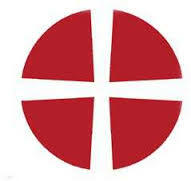 Diocesan Synod votes on 11 October 2014 to decide whether implement the Ministry Strategy. If it does, then Appleby Deanery will begin the work of finalising and implementing our plans for Mission Communities in this area.